Emap Australia Pty. Ltd., Level 6 187 Thomas St. Haymarket NSW 2000. Soft cover, 211 pages, extensive black and white and colour photographs. Photographs and lyrics from Albert Falzon's 1972 film of the same name, supplemented by comments by Albert Falzon's and some of the film's surfers. There are also a number of photographs that that are not featured in the film, mostly included in First Things First - a scrapbook collection, pages 182 to 203. Unfortunately there is little design detail about the featured boards, some of which are significant, and the last segments of the film (Pipeline and Sunset Beach) are restricted to two pages. Random House Australia Pty. Ltd.
Level 3, 100 Pacific Hignway, North Sydney NSW 2060, 2009. Soft cover, 345 pages, black & white and colour plates, Acknowledgements. 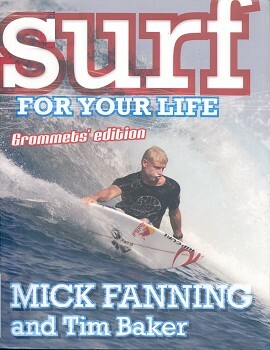 Well written account of Fanning's early family life and surfing, with a focus on his professional career up to the end of 2009, with the World Championship yet to be finalised. Surf for Your Life - World Title Edition. Well written account of Fanning's early family life and surfing, with a focus on his professional career up Fanning's second World Championship in 2009. Surf for Your Life - Grommets' Edition. Level 3, 100 Pacific Hignway, North Sydney NSW 2060, 2010. Soft cover, 128 pages, colour photographs, Glossary. Edited version of 2009 edition, noted above, with additional advice and instruction sections following each chapter. Note Know Your Surfboard, pages 34-35, and the details of six competition boards from 1998 to 2009, pages 36-37. Hard cover, 138 pages, 68 black & white photographs, 8 b/w illustrations, Glossary. Excellent overview of all aspects of surfing in Australia up to 1965. Excellent photographs and illustrations (by Gary Birdsall). 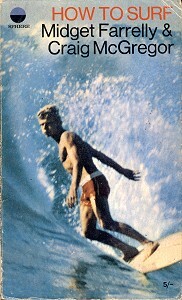 The cover image first printed as the cover of Surfabout Magazine Vol.1 No.5, circa 1963. 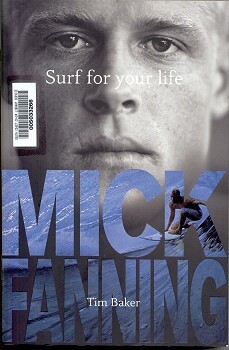 Also UK edition, 1968, with another change to the title (How to Surf) and printed in a small format with a soft cover. Hard cover, 192 pages, 68 black & white photographs, 8 b/w illustrations, Glossary. 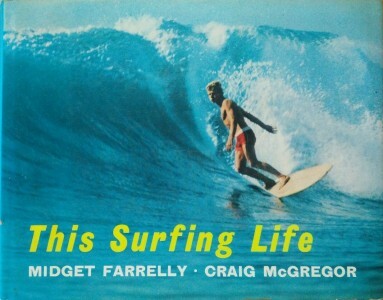 Excellent overview of all aspects of surfing in Australia up to 1965. Excellent photographs and illustrations by Gary Birdsall. 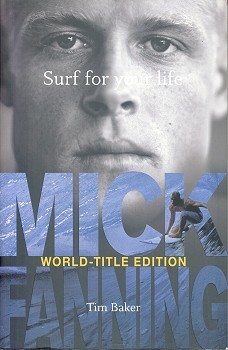 USA edition, 1967 in a different format, with a change to the title : (This)/The Surfing Life. Note that there are additional images, some replacing those of the earlier edition, and many of the images have been cropped and/or resized to the different format. Paul Gabauer (1965, p 31) to Fred Hemmings (1967, page 39). Bob Cooper (1965, p71) to Mick Dooley (1967, p 95). 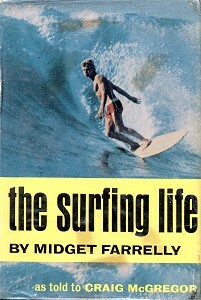 Followed by a UK edition, 1968, with another change in title (How to Surf) and in a small format with a soft cover, see below. Sphere Books Limited, London, UK. Soft cover, 144 pages, 36 black and white photographs/plates, 8 black and white illustrations, Glossary. Sightly revised edition of 1965 publication above. There is some minor variation in the text (World Title results 1966 and 1968 included), but half the photographs have been dropped. The only other updating appears to be the illustration of fin templates, page 71. Some of the photographs are different, but none from 1966-68. 20 Alfred Street, Milsons Point, NSW 2061, 2006. Soft cover, 258 pages, 40 black and white plates, Acknowledgements. 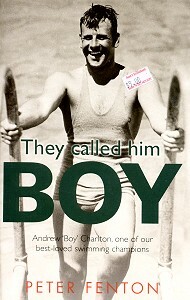 Boy Charlton was one of Australia's most successful swimmers and a regular surf shooter at Manly. In 1928 he competed in the Amsterdam Olympic Games, accompanied by his trainer and fellow Manly surfer, Harry Hay. Two other Manly surfers, Snowy McAllister and Tommy Farrell, travelled to Europe to support Chartlton, McAlister taking a surfboard which he intended to ride on the beaches of Cornwall, England. 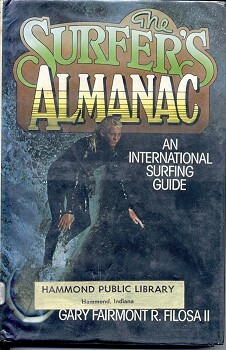 The Surfer's Almanac - An International Surfing Guide. E. P. Dutton, 201 Park Avenue, South New York, NY, 1977. Hard cover, 208 pages, 16 b/w photographs, map, Bibliography, Index. 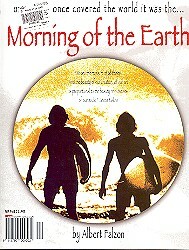 This book was soundly criticised by Surfer magazine upon its release in 1977, with reason. 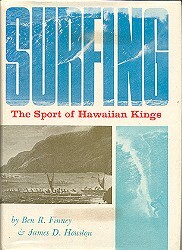 It is a poor addition to surfriding literature, apart from one rare photograph of Duke Kahanamoku, page 7. 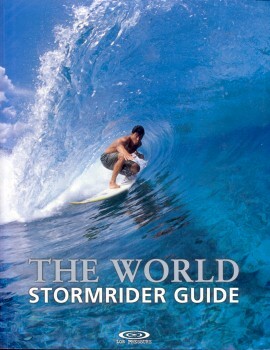 The bulk of the work is a surfing guide to the world's surf breaks (map, pages xiv and xv). The Australian entries are occasionally inaccurate ("Dee Why ... is a well formed left-slide, 8 to 17 feet, off a point", page 145) and many place names are spelt incorrectly. 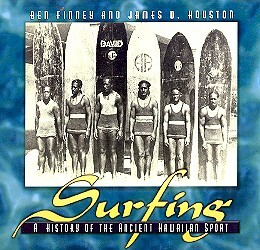 As the current president of the American Surfing Association, Filosa promotes surfing as a college sport and for inclusion in the Olympic Games and, perhaps uniquely, credits the invention of the "modern wetsuit" to Hugh Bradner, page 9. Penguin Press, USA, Corsair Books, UK, 2015. Soft cover, 499 pages, b/w photographs. 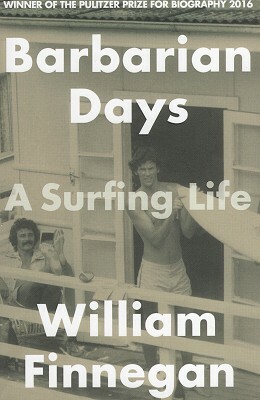 Extremely interesting book detailing the author's devotion to surfing, while juggling the responsibilities of work and family. Extended accounts of memorable surf sessions and waves on both coasts of America, Hawaii, South Pacific, Australia, Asia, and Africa. Winner of the Pulitzer Prise for Biography 2016 and the 2016 William Hill Sports Book of the Year. Rutland, Vermont and Tokyo, Japan. Originally developed by Ben Finney as his master’s thesis in anthropology at the University of Hawaii and revised by James D Houston this book is a wonderfully detailed work, it’s text, photographs and illustrations have been reproduced in a multitude of subsequent publications. A large number of the photographs, many by Ron Church, are not reproduced in the 1996 edition. Special Note: Illustration #23 : Crowded Waikiki page 82 - over 50 solid, lamimated or hollow timber boards at Waikiki, circa 1940. Not reproduced in the 1996 edition. P.O. Box 6099 Rohnert Park, CA 94927, 1996. *The text from the 1966 edition is reprinted with a revised selection of images. The original maps and diagrams are significantly improved and most of the comtemporary photographs have been replaced with earlier material. Appendix E (Jack London 1907) all of which are essential historical resources. ‘Thomas Edward Blake and his quiver, 1935’ (page68) - probably the most widely reprinted quiver photograph. Note that Finey's contention that surfriding developed from "a children's pastime" is one of the very few, although in this case crucial, elements of his analysis that is possibly questionable. 1. Children's pastimes or games often mimic adult activity, for example toy boats, toy cars, toy trains. 2. Children's games are often training for adult activity, in this case the development of swimming skills. Such surf swimming skills are critical when attempts to negotiate the surf zone in canoes (for example, when returning from fishing) are unsuccessful. 3. Childrens toys, in this case their boards, are often constructed by adults. 4. The inherent danger of the activity probably requires some level of adult supervision. Also note, a number of early reports identifying juvenile surfriders may be a result of the observer witnessing the activity in benign and relatively common climatic conditions (that is, small surf), whereas adult surfriders are more likely to test their skills in more extreme, and much rarer, swell events. The other crucial assumptions that probably deserve further analysis are the identification of "true surfboards" as essentially based on length (1996, page 24) and the implication that "true surfing" is in a standing position (1996, also page 24). While length is important, surfboard performance is also function of width and volume. By concentrating on riding in a standing position, certainly the dominant method in 1966, the analysis does not account for other indicators of surfriding skill, principally wave size and critical positioning. For example, in the period 1965 to 1969, some commentators consider the world's best, strictly in terms of surfriding performance, was Californian kneeboarder, George Greenough. Australian Surfing World, Australia, 2015. A wide ranging book on the multiple facets of a modern surfing professional. Unit 2 Elfford Farm Business Park, 2000. First Edition 1992, Second Edition 1995, Third Edition 1998, Third Impression 2000. Soft cover, 288 pages, colour maps and illustrations and photographs, black and white photographs, Appendix, Index. 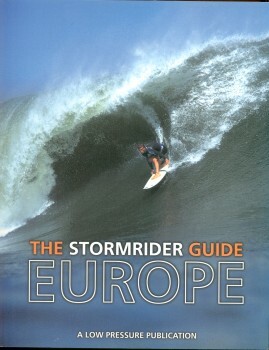 An extensive guide to European surf breaks from Ireland to Morocco in English and French text. Each entry has a small section on the early introduction of surfing to that area, titled Surf Culture. 1 Stert street Abington Oxen, OX 14 3JF, 2001. Soft cover, 349 unpaginated, colour maps and illustrations and photographs, Appendicies. A general guide to some of the world's world prime surfing breaks focusing on specific areas. 841 Broadway, New York, NY 10003. 2000. Selected primary sources with explanary notes. An excellent contribution to Australian history. 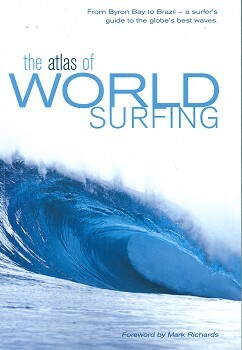 The Atlas of World Surfing. 25 Ryde Road, Pymble sydney NSW 2073, Australia, 2007. 31 View Road, Glenfield, Auckland 10, New Zealand. Soft cover, 256 pages, colour maps and photographs, Forward by Mark Richards, Glossary, Web Links, Index, Acknowledgements. A global surf guide featuring the most recognised breaks prepared by a vast team of contributors. 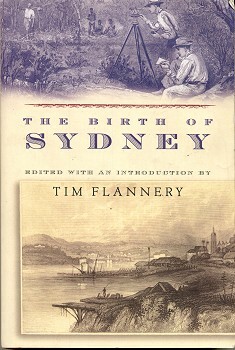 NewSouth Publishing, Coogee, N.S.W., 2014. Soft cover, 320 pages, 8 pages of plates and illustrations, Acknowledgements, Notes, Bibliography, Index. 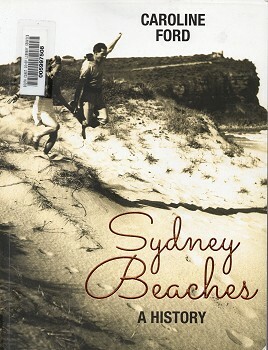 An excellent book covering the development of beach culture in Syney from the mid 19th century. "The small figure of the Hawaiian Olympic swimming champion, Duke Kahanamoku, looms large over the history of surfing in Australia," page 196. Duke had an imposing physique and was 6ft (180 cm) tall, hardly a "small figure." 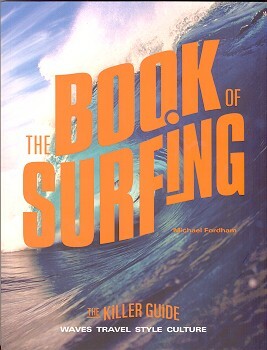 The Book of Surfing - The Killer Guide. 61-63 Uxbridge Road, London W5 5SA. A Random House Group Company. A well presented guide that covers a vast spectrum of the elements of surfing and it's associated culture. There is a fine balance across the different historical eras and, written from a British perspective, a similar balance between the dominant centres of surfing that is usually lacking from writers from Hawaii, California or Australia. Particually suitable for the beginner or the immediate surfer with a wealth of instructional material largely assisted by simple, but informative, illustrations. The maps and the shoreline illustrations, particularly "Type of Wave" cross-sections, are excellent. 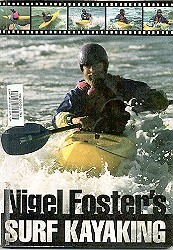 "www.surfresearch.com.au Brilliantly informed online journal of surf culture from an Australian perspective." Fornander Collection of Hawaiian Antiquities and Folk-Lore. With Translations Edited and Illustrated with Notes by Thomas G. Thrum. Bernice Pauahi Bishop Museum Press, Honolulu, Hawaii, 1919. Volume VI, Third Series, Part 1. 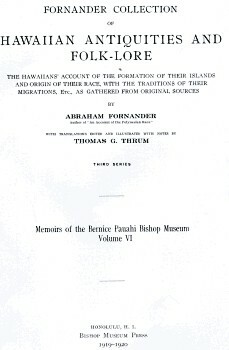 1919 Abraham Fornander : Hawaiian Antiquities. The Globe Pequot Press, P.O. Box 833 Old Saybrook, Connecticut. Soft cover, 101 pages, 94 colour photographs / sequences, Glossary, Index. Extensive/intensive How-to manual for a surfcraft particually suited for cold water surfing, largely ignored by the mainstream surfing media. Details on surf-skis (pages 5 - 6). Some locations (un-named) feature quality waves. 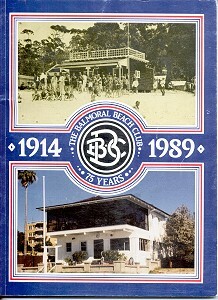 The Balmoral Beach Club - 75 Years, 1914-1989. The Esplanade, Balmoral NSW, 1989. A very basic beginners book with no significant highlights. Design photographs features Infinity flyer rounded pin tail twin fin with atypical finboxes. Surfing photographs are a consistent low quality despite the author/photographer being a teacher of photography for eight years. Soft cover, 36 pages, 9 black and white photographs. 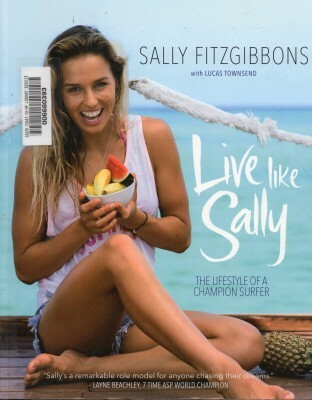 Instructional pamplet-like publication that extolls the virtues and dangers of surf-riding - in this case prone riding on narrow solid wood boards as illustrated by the cover. Includes several advertisments for Newquay businesses and for "The New SOLARBO BALSA BOARDS" - see Source Documents Menu. The author also wrote The Art of Surf-riding, 1934 - no other details available. Geoff Cater (1999 - 2017) : References - Books - F.